(Fort Lauderdale, FL) –NSU Art Museum Fort Lauderdale is pleased to present Midnight in Paris & New York: Scenes from the 1890s – 1930s, William Glackens and His Contemporaries from February 4 through October 18, 2018. Featuring drawings, paintings and photographs by American and European artists along with distinctive architectural designs, furniture, glass, metalwork and silver, this new exhibition offers a fascinating glimpse into the rapidly changing society of the turn of the century and life in the new modern city. The Museum’s Sunny Kaufman Senior Curator Barbara Buhler Lynes, Ph.D. curated the exhibition. An opening reception will be held at NSU Art Museum (One East Las Olas Blvd., Fort Lauderdale) on Saturday, February 3 from 6 – 8 pm. 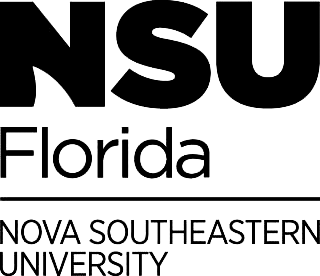 Admission is free for museum members, NSU students, faculty and staff; $25 for non-members. RSVP at nsuartmuseum.org/events or call 954-262-0258. During these decades, the completion of the Eiffel Tower (1889) and the Basilica of Sacré–Coeur (1914), among other architectural achievements redefined the Parisian skyline, as did skyscrapers in New York, such as the Flatiron (1902) and Woolworth (1912) buildings. The population of both cities surged with the influx of immigrants and people from rural areas, which increased diversity, and led to building booms, the establishment of businesses, and the opening of department stores that acquainted people with the latest fashions, household products and furnishing. Newspapers and illustrated popular magazines flourished and their wide distribution disseminated new ideas and trends. Inventions like the airplane, automobile, escalator, elevator, light bulb, neon, movies, telephone, and radio revolutionized how people communicated, lived, worked and spent leisure time. Midnight in Paris & New York: Scenes from the 1890s -1930s, William Glackens and His Contemporaries is generously sponsored by Bonnie E. Eletz, Kolter Hospitality/ Hyatt Centric and 100 Las Olas, Sansom Foundation, David and Francie Horvitz Family Foundation and Northern Trust.